You are here: Home / Spoofs and Humor / Flat Addy / Adam Lambert Caught Trying ‘Glee’ On! With everything going on with Adam Lambert these days, who knows what’s at the top of his list? Is it working on his new rock-flavored third album? Or the highly-anticipated iHeart Radio Concert with Queen? Or finally relaxing a bit? Or possibly his role in next season’s Glee? The strangest things come across your desk when you’re a blogger! 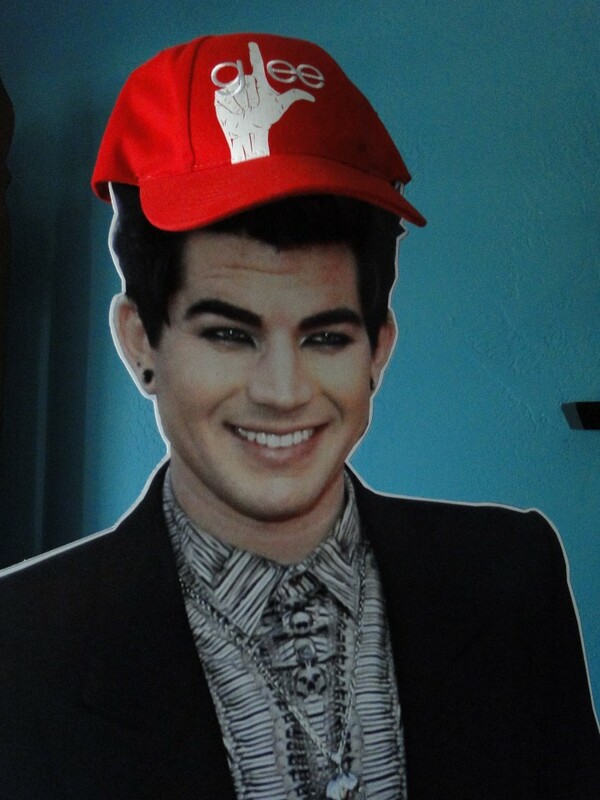 Adam Lambert, or a reasonable double, was captured when he tried on a Glee hat. We hope we get more access to the travels of this double, or Flat Addy, as we’ve chosen to name him. Remember, these are “exclusives!” There are some benefits to being the oldest Adam Lambert fan site! Adam I love you vey much.I’m one of your Cougars!! I’m abit concern about what you may be doing.Adam what are you doing! You aren’t serous about judging on idol?What does hat mean to your next album?what harm will give your Glamberts?you won’t be able to tour at all? PLEASE ADAM this will be a BIG MISTAKE IF YOU DO!!! I KNOW I HAVE BEEN saving what little I have to try and see you live.but your going to make that impossible.THINK VERYHARD ABOUT US YOUR FANS!! Just where might one find an Addy to buy? I’ve been looking for one for years! Nice photoshop. I would have like to get a hat like this as well. I sure hope Glee happens for Adam with the loss they sustained. I’m sure it will be January before we see him on there. But I can wait. Not giving away our secrets, but there’s nothing Photoshop about this picture! All will be told as we continue our new series, Flat Addy Friday!